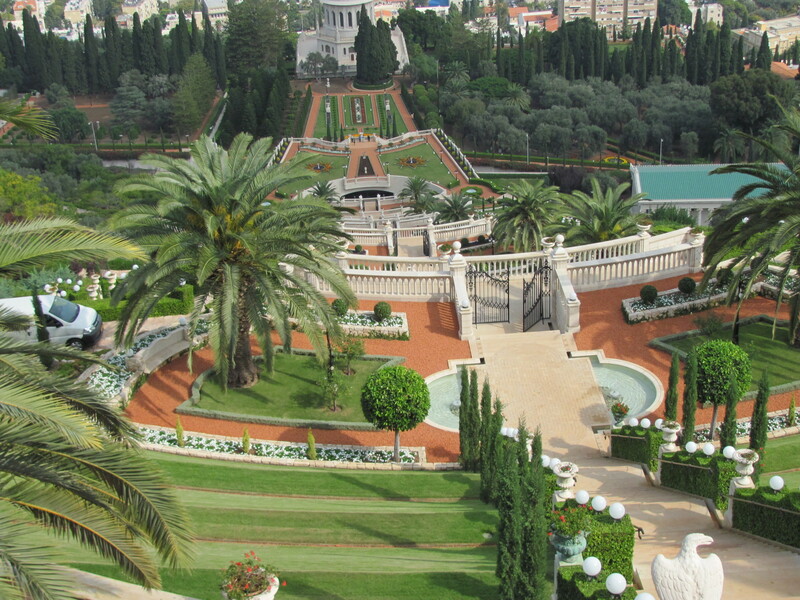 Gardens are certainly far from one’s mind in the parched, arid landscape of Israel. However, there are surprises even here. 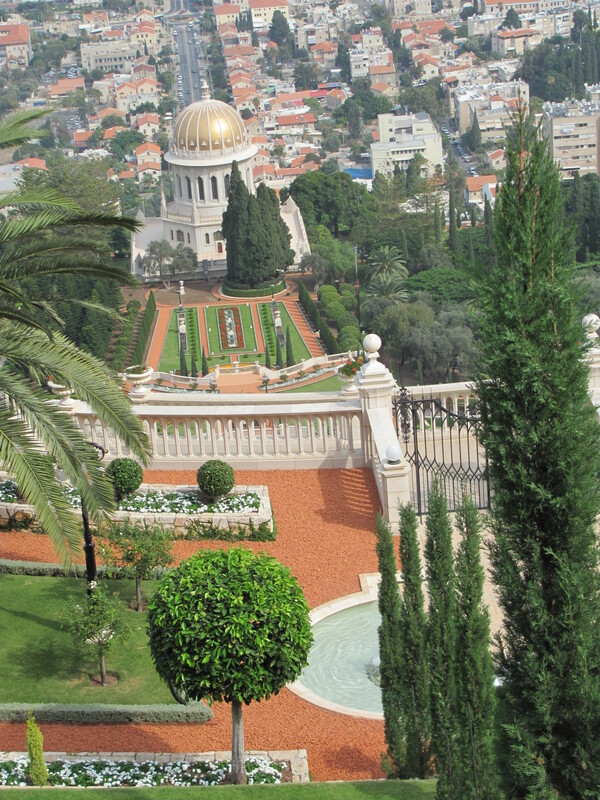 The city of Haifa is headquarters for the Bahai religion. The grounds of these temples are adorned with lovely terraces of gardens, flowing downward from the highest section of town to the sea. These gardens are an extremely pleasant place to stroll. This entry was posted in Around the World, Best of ..., Great Places and tagged Asian Travel, World Travel. Bookmark the permalink.